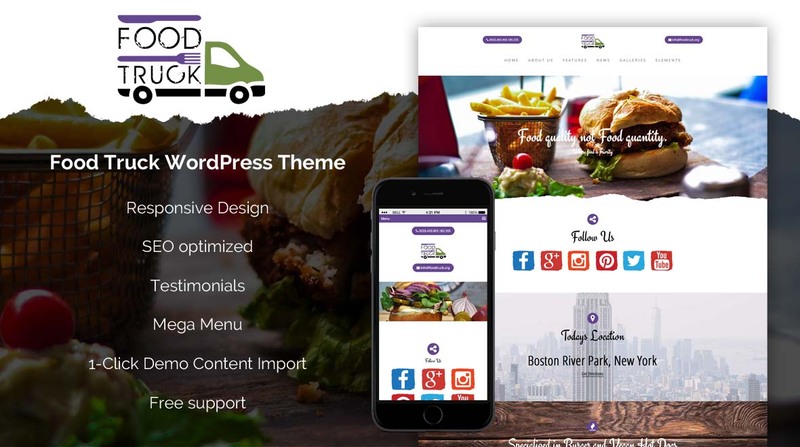 Foodtruck is a modern, easy to use and fully customizable WordPress theme, made for food trucks, restaurant and food related websites. This theme is 100% responsive and looks great also on mobile devices. Foodtruck is fully customizable with more than 500 theme options. We offer for all our themes free support and updates. Please contact our support team if you have questions or if you need help.